Since the Carrillo Law Firm, P.C. opened in May of 2007, our group has concentrated on insurance defense, civil litigation, business litigation, employment law and litigation, civil rights law and litigation, and real estate. We offer a small firm environment from lawyers who take the time to meet with you, understand your issues, and devote personal time to your problem. When necessary, we have a broad network of contract attorneys and other professional relationships whom we may call upon to meet a client's needs. When you bring your case to Carrillo Law Firm, P.C., you will always receive the benefit of our: Focus on business -- Carrillo Law Firm, P.C. is an all-in-one office that handles every type of business law case from litigation to civil rights and banking law. This strong focus on the business world ensures our clients that they are being represented by a team of attorneys who are familiar with their situation. Extensive experience -- Our attorneys have more than 80 combined years of legal experience, with our senior lawyers averaging 20 years of experience each. This knowledge of business law enables us to give your case the high-quality representation it deserves. Flexibility -- No matter how simple or complex your problems may be, we welcome the opportunity to work with you on them. From consultation to litigation, we decide the best course of action for you to take. AREAS OF PRACTICE: Civil Litigation Business Law/Advice Employment and Labor Law Civil Rights Defense Real Estate Law and Litigation Insurance Litigation Local Government Law and Government Defense Corporate Law Commercial Litigation Construction Litigation Liquor Licensing and Regulation We also handle Election Law, Appellate Legal Issues and select Plaintiff's Litigation. 8:00 a.m. - 12:00 p.m. and 1:00 p.m. - 5:00 p.m. If you are planning to start your own business in New Mexico or West Texas, or if you want to expand your current business, an experienced and knowledgeable business law attorney can help expedite the process and can ensure your success. At the Carrillo Law Firm, P.C., we assist individuals and businesses of all sizes with a full range of legal services, including: -Commercial and civil litigation -Business formation and advice -Due diligence -Financial investment counseling -Contract review and development -Breach of contract -Buy-and-sell agreements -Shareholder disputes With more than 40 combined years of industry experience, our attorneys are well-prepared to handle business legal issues of any size or complexity. If litigation becomes necessary, the attorneys of Carrillo Law Firm, P.C. work tirelessly in court to defend your rights and to provide the best-possible results for your case. Realizing your business dreams: A focus of our firm is helping clients start their own businesses. At Carrillo Law Firm, P.C., we review your business plans and then advise on issues involved in business formation and maintenance including potential liability, corporate entity formation and tax structures. Once your business has been established, we continue to help it grow by advising on insurance coverage, investment strategies and corporate compliance issues. We also look after your best interests by finding strategies to limit your personal liability and to increase your bottom line. Helping business owners move forward: Carrillo Law Firm, P.C. works closely with business owners to ensure that businesses run smoothly. We often negotiate and draft contracts and buy-and-sell agreements, assist with corporate compliance measures and tax filing, and represent businesses in shareholder disputes and commercial litigation cases. We are also seasoned negotiators and litigators, and we know how to best represent your financial interests successfully resolving your issues in the boardroom or the courtroom. Law School: Harvard University, J.D. 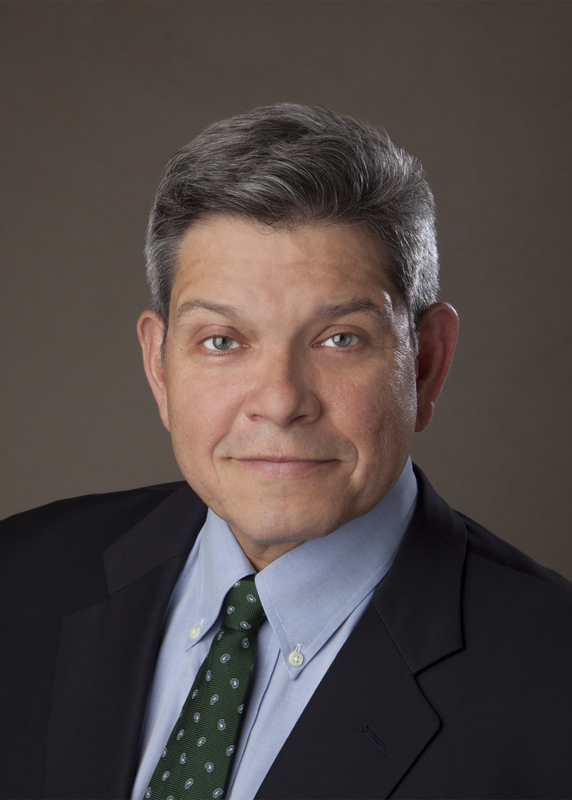 resident/Managing Partner, Carrillo Law Firm, P.C., Las Cruces, NM, 2007-Present. Clinical Professor of Business Law and Ethics, University of Texas at El Paso, College of Business Administration, El Paso, TX, 2008-Present. Partner, Narvaez Law Firm, P.A., Las Cruces, NM, 20052007. Senior Vice President, General Counsel & Corporate Secretary, 20032005, Senior Vice President & General Counsel, 20022003, Vice President & General Counsel, 2002, El Paso Electric Company, El Paso, TX. Partner, Sandenaw, Carrillo & Piazza, Las Cruces, NM, 19962001. Law Office of Raul A. Carrillo, Jr., Albuquerque, NM, 1993-1996. Attorney, Browning & Peifer, P.A., Albuquerque, NM, 1991-1992. Law Clerk to the Honorable John E. Conway, U.S. District Judge, District of New Mexico, 19881990. "Mini Law School for HR Professionals", Seminar, National Business Institute, April 4, 2018. "Lawyers, Wellness and the Daily Practice", Seminar, State of New Mexico Risk Management Division Legal Bureau, November 17, 2017. "Discipline and the Discharge Essentials", Seminar, National Business Institute, November 8, 2017. "Making the Most Out of Mediation", Seminar, New Mexico Hispanic Bar Association, October 28, 2016. "Approaches to Discovery in Employment Litigation", Seminar, State of New Mexico Risk Management Division Legal Bureau, November 20, 2015. "Resolving Discovery Disputes", Seminar, National Business Institute, October 22, 2015. "Human Resource Law From Start to Finish", Seminar, National Business Institute, May 13, 2015. "Reflections on Litigation Processes and Stakeholders", Seminar, State of New Mexico Risk Management Division Legal Bureau, November 21, 2014. "Fundamentals of Employment Law", Seminar, Sterling Education Services, Inc., October 22, 2014 (Excellent performance rating). "Applying the Rules of Evidence: What Every Attorney Needs to Know", Seminar, National Business Institute, July 23, 2014 (100% performance rating). Assistant Editor, Natural Resources & Environment Journal, ABA Section of Environment, Energy and Resources, Volume 19, Number 4, Winter 2005. "Renewable Energy Requirements and the Commerce Clause," with Everitt Britt, Natural Resources & Environment Journal, ABA Section of Environment, Energy and Resources, Volume 19, Number 4, Spring 2005. "Detention Centers Under Siege: Current Issues in Jail/Inmate Litigation," New Mexico Association of Counties, October 31, 2000. "Legal Issues Affecting the Workplace," Seminar, Lone Mountain Archaeological Services, Inc., March 12, 1999. "EEO Update," with James Hautzinger, 1990 Employment Law Workshop for Managers, November 7, 1991. "Veteran's Reemployment Rights," Presentation with Beth Kiovsky, Employer's Legal Update, May 9, 1991. 1990 Employment Law Workshop for Managers, "Employment Claims Under New Mexico Law," with Robert P. Tinnin and Nicholas J. Noeding, November 7, 1990. Harvard Journal on Law & Public Policy, Member, 1987. Harvard Journal on Legislation, Member, 1986. American Bar Association (Member, 2004 - Present; ABA Section of Environment, Energy & Resources, Editorial Board Member, 2004-2005; Section on Litigation, Member; Section on Labor and Employment Law, Member). State Bar of New Mexico (Member, 1988 - Present; Section on Labor and Employment Law, Member). Doa Ana County Bar Association (Member, 1996-2002, 2007 - Present). New Mexico Defense Lawyers Association (1997-2002, 2006-Present). New Mexico Hispanic Bar Association (Member). Judicial Selection Committee, Third Judicial District Court, State of New Mexico (Governor's Appointee, 2008). American Inns of Court, Albert Fountain Chapter (Member, 1996-2002). Defense Research Institute (1999-2002, 2006-2008). Edison Electric Institute Litigation Review Committee (Member, 2004-2005). Associated Electric Companies of Texas (Board Member, 2003-2005). New Mexico Board of Bar Examiners (Grader, 1991). New Mexico Civil Liberties Foundation, 1991. State Bar of New Mexico Young Lawyers Division (President, 1990). State Bar of New Mexico Young Lawyers Division Newsletter (Editor in Chief, 1989). Uniform Jury Instructions for Civil Cases Committee, Member. Paso Del Norte Group (Member, 2009-2013). Las Cruces Chamber of Commerce (Member, 2009 - Present). New Mexico LULAC (General Counsel, 2007-2013). Boys and Girls Club of Las Cruces (Counsel, 2008-2009). El Paso Hispanic Chamber of Commerce (Board Member, 2003). Community Foundation of Southern New Mexico (Board Member, Chair of Governance Committee, 2004-2005). New Mexico First (Board Member, 20032005). Boy Scouts of America (Troop Committee Chair, 1997-2002). Albuquerque Shelter for Victims of Domestic Violence (Director, 19901991). New Mexico Bar Foundation (Mock Trial Judge, 19901994, 1997). YMCA of El Paso, Youth Soccer (Booster, 2012 - Present). Recipient: University of Texas at El Paso, Award for Excellence in Graduate Instruction, 2014. State Bar of New Mexico, Certificate of Honors, 25 Years of Service, 2013. New Mexico LULAC, Outstanding Service Award, 2007. New Mexico Bar Foundation Annual Young Lawyer Award, 1990; State Bar of New Mexico Outstanding Contribution Award, 1990 and 1991. Practice Areas: Insurance Defense, Civil Rights, Business Litigation, Employment Litigation, and Corporate Litigation. Steven E. Jones is a civil litigation associate attorney for Carrillo Law Firm, P.C. He has represented governmental clients, large companies, local businesses, and private parties in state and federal court. He also has worked on a wide variety of alternative dispute resolution activities including arbitration, mediation, direct negotiation, and judicial settlement conferences. Mr. Jones has experience dealing with U.S. federal agencies on behalf of clients in a variety of contexts, including administrative proceedings, investigations, and litigation involving agencies such as the U.S. Department of Labor (DOL), U.S. Department of Agriculture (USDA), U.S. Centers for Medicare and Medicaid Services (CMS), U.S. Food and Drug Administration (FDA), U.S. Postal Service (USPS), U.S. Department of Justice (DOJ), and U.S. Equal Employment Opportunity Commission (EEOC). Mr. Jones routinely handles difficult or complex areas of law, sometimes without clear legal precedent. He has experience participating in large e-discovery projects in multi-district litigation. He has defended class action and multi-plaintiff lawsuits brought under the Fair Labor Standards Act and New Mexico Minimum Wage Act. Mr. Jones is a New Mexico alumni interviewer and recruiter for Harvard College. 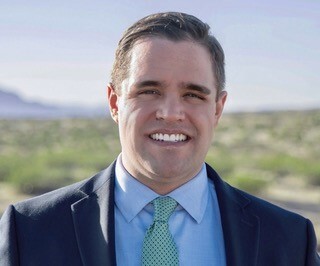 He has previously served as the Harvard College Schools and Scholarships (Admissions) co-chair for New Mexico, as well as an alumni interviewer for Maryland and for San Mateo County, California. State Bar of New Mexico; State Bar of the District of Columbia; State Bar of Maryland; and American Bar Association (2008-present).